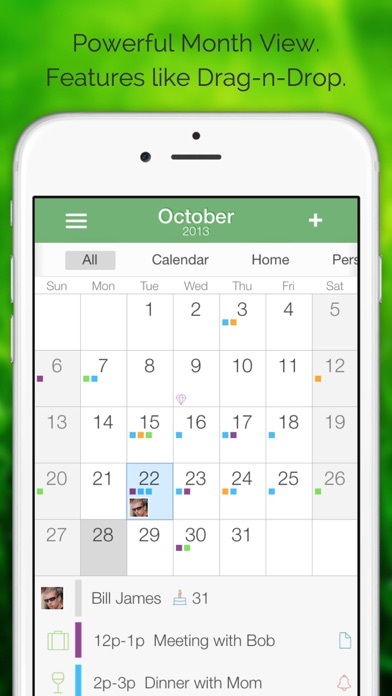 One of the most powerful calendars on iOS. Advanced views with plenty of options all designed for speed and flexibility. 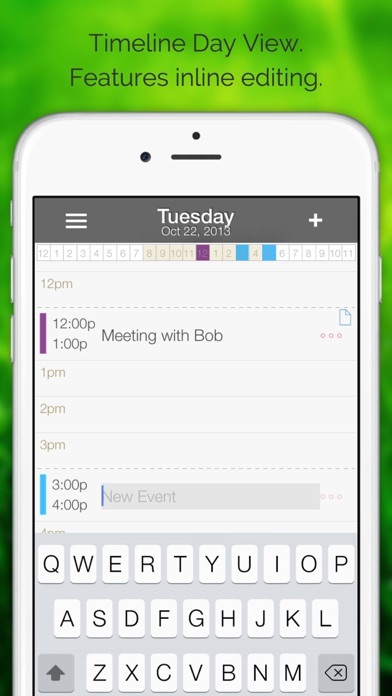 You wont get this much information at a glance from any other calendar, and adding events in-line allows you to get in and out and on with your busy day. 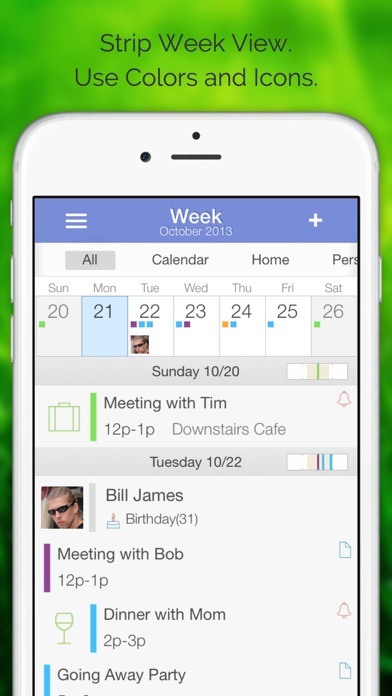 Based on Extreme Agenda, it gives you the powerful calendar based views you want at a low price, and allows you to purchase the other features of the full Organizer once you need them. • Powerful views including Year, Month, Week, Upcoming Agenda List, and Day. • Retina and iPhone 5 Display Support. When you are ready to upgrade just pay the difference and your Extreme Calendar becomes Extreme Agenda. Doing so adds powerful contact, task, note, and list views along with search, weather, private filtering, a status coloring choice, and over 800 more icons. And it adds categories for coloring, icons, and advanced filtering. 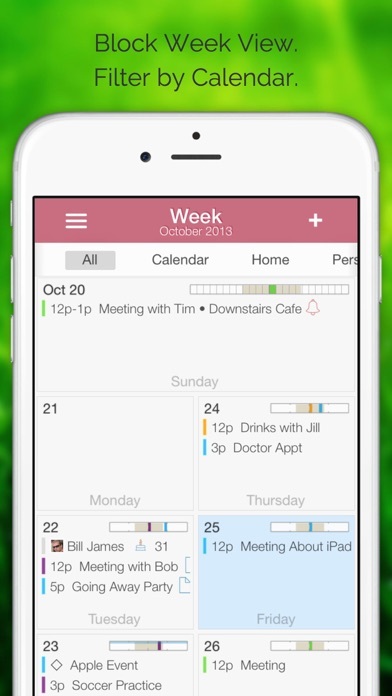 You can tap-h-hold in the main calendar days and in the time area of the timeline day view for an 'add and paste' toolbar. Copy/Move, used with the paste, are in the toolbar on each event in timeline day. Please email us with feature suggestions, bug reports, or you can't figure something out instead of using the reviews if you are rating low, its not good practice to get what you want. Or find Extreme Agenda on Facebook or give @birdsoft a shout out on Twitter and let us know there! We address most problems reported right away if they really are problems and will help you find a solution. We also list known problems on our site and how they are being resolved. If you like the app and it works fine for you and/or we worked to get in the features you requested please leave a review to let people know. We're working hard to give you everything you want in a calendar.